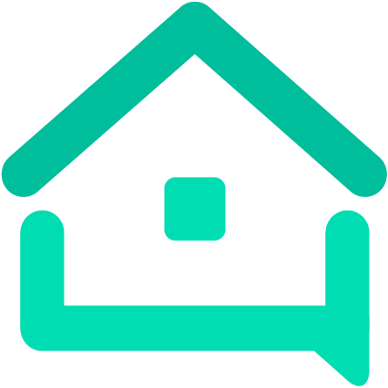 Short survey for hosts re: Vacation Management - Research - We are your AirBnB hosts forum! Hello fellow AIRBNB hosts! I am a host based out of Long Island, NY and I am working to pilot a new facet of my rental that will offer food & beverage packages to my renters. As I explore this new feature I am looking for feedback from other hosts so I can learn what features may be desirable for other hosts as I consider offering this as a stand-alone feature to both hosts and renters. I am a young entrepreneur looking to grow and expand and would SO appreciate any feedback on this idea & if anyone is willing to take a few short minutes to answer a quick 10-question survey about the business so I can start to understand and interpret some analytics and market research. You would be helping out a young, driven entrepreneur who is just starting out! Thanks SO much and I look forward to any questions, comments or feedback you may have. Would you be interested in working with a rental management property which can provide food and beverage for guests, key exchange, cleaning services and other customizable services at no cost to you? How are you going to provide this service “at no cost to me”? I think my cleaner is very reasonable, but it still costs $60 for each turnover. But seriously, they’re probably just looking at it from a different angle. If the host already pays a management company, then they will be able to provide the host with the same earnings as they were making before but also provide the additional services, so the guest ends up paying more, but the additional revenue goes to the management company, not the host. Thank you so much for your feedback and valid questions, all of which are very important. I appreciate honest feedback, and if this concept is going to roll out and work, I need to know the concerns, skepticism, and all that is in between so I appreciate it. Guests would pay a cleaning fee, which from my experience is standard with AIRBNB rentals. The questions about care and upkeep of the rental are more geared toward gaining an understanding of how property owners handle issues that arise. Similarly with the question about concerns around rentals. In my experience one of the only downsides to being a renter of a vacation property is there is a bit of legwork. A group is arriving and then someone, or the whole group, is spending time they could be enjoying their stay at the grocery store, liquor store, etc. Food and beverage are left over and the option is to either haul it home (if transportation means allow) or ditch the food and beverage, creating a lot of waste. This concept would allow renters to arrive at their rental property to a fully stocked fridge, liquor cabinet, etc. that they have customized to meet their needs. The service could also expand into providing household items in case they are needed. For example I once stayed in a rental for a bachelorette party with eight girls and the home had no toilet paper! Such an inconvenience. If I stay in a hotel I may be able to grab a toothbrush or shampoo from the gift shop or concierge, but those items may not be available in short term rentals. Our aim would be to provide those small comforts that are sometimes missed from the traditional vacation/hotel experience. I think your best market for this would be vacation rentals in resort areas, and the existing property management companies handling these types of properties already offer grocery & concierge service to guest renters. Therefore, not sure I see where your market niche would be. So is this survey about understanding how as a management company you can provide management support services to other hosts and through them for their guests? As a guest ,we just get the supermarket we use to do a food and drink delivery service if we want to cook and here we can recycle food waste. It would be very unusual to arrival at a rental with no basics such as toilet paper, shampoo and other basics. Thanks for your feedback. I have had the unfortunate experience of staying in a rental with no toilet paper, but I do agree that is not the norm. The downside for me as a renter with having to shop or wait around for a delivery is that it does take time out of my vacation, and often times food or beverage is being wasted on my end if my group isn’t finishing what we brought with us. Ends up often times feeling like a waste of time and money.